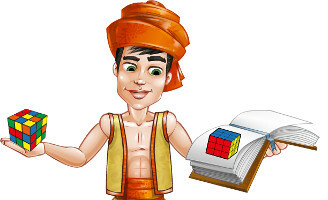 If you’re tired of hazy and confusing solutions to Rubik’s Cube… Just follow these step by step solutions and you will be able to resolve the Rubik’s cube by your own in a couple of minutes. Surprise your friends solving the most popular puzzle all around the world. 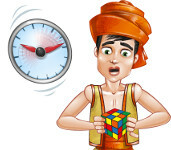 Are you able to solve your Rubik’s Cube? Yes? Under a minute? These guys can solve it in a few seconds. They are able to solve the cube with just one hand, or with their feet, or even blind-folded. You won’t believe it until you see it. Check these amazing videos! Do you want to know more things about the Rubik’s Cube? If you want to know some curiosities (Who invented the cube? Why did he invented it?) or if you just want to see some funny staff related with this puzzle, just follow our blog to keep up to date about the cube!